With all the massive movies coming out this year (The Amazing Spider-Man, The Hunger Games, The Avengers, Prometheus, Resident Evil: Retribution, etc), you might have lost track of Rian Johnson’s (Brick) Looper in the mix. That’s about to change. 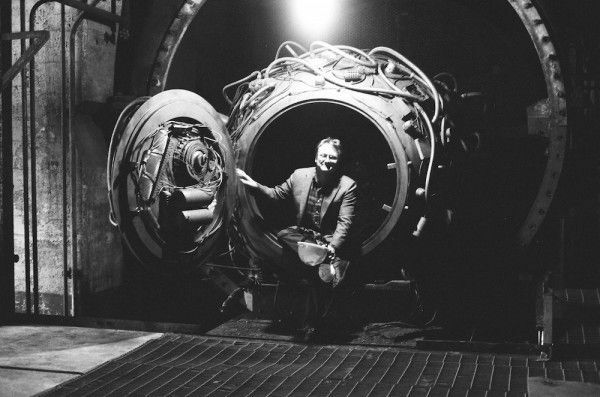 As part of Sony’s presentation at WonderCon 2012, the first trailer from the time-traveling sci-fi flick was shown. While you can get a look at some still images from the film here (including Joseph Gordon-Levitt’s awesome make-up), the trailer hasn’t released just yet. You’ll just have to trust me when I say that this is definitely a film to keep an eye on, even if coverage of other movies attempt to drown it out. The question you have to ask yourself is this: if faced with the order to assassinate your future self, could you pull the trigger? 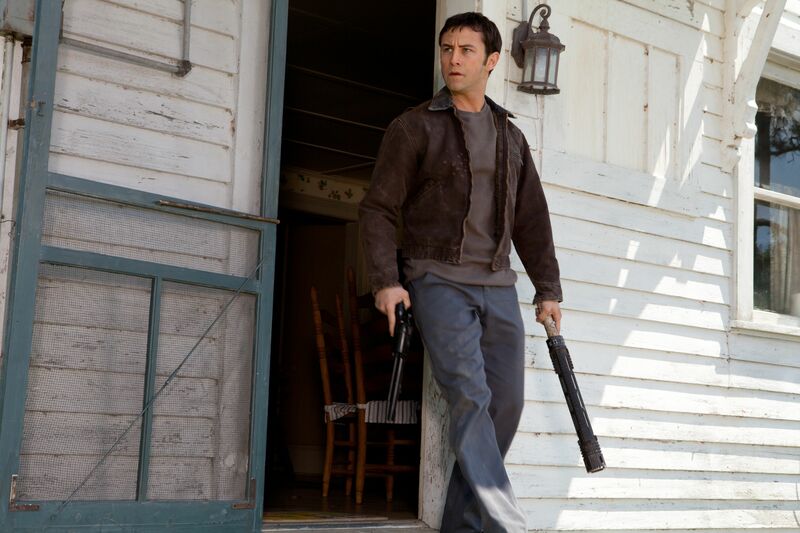 Looper, starring Joseph Gordon-Levitt, Bruce Willis and Emily Blunt, opens on September 28th. Hit the jump to check out our recap. The trailer goes on to show a group of young Loopers alternately living the high life and executing their marks; all in a day’s work. Things go swimmingly until Gordon-Levitt’s future self (Willis) shows up on the edge of a corn field on his knees with his hands bound. Gordon-Levitt hesitates and that’s all Willis needs. He spins around and Gordon-Levitt fires his gun, hitting nothing but a make-shift vest of gold bars strapped to Willis’ back. Willis hefts a gold brick in Gordon-Levitt’s direction, distracting the younger assassin long enough to escape. Then, the chase is on! Gordon-Levitt attempts to track down and assassinate his future self before his fellow Loopers can put them both out of commission for good. Johnson spoke about the long-germinating project, one he’s wanted to write for a while. He had Gordon-Levitt in mind when he wrote the part. Gordon-Levitt had to sit through three hours of make-up to be transformed into the younger version of Willis. Gordon-Levitt was thrilled to take on this role, especially because he was able to transform into someone he really wanted to match. He stripped audio from Willis’ films (specifically Sin City) and listened to them on his iPod. The film shot in New Orleans and in China. Gordon-Levitt compared Johnson to a young Christopher Nolan and Steven Spielberg. As Johnson and Gordon-Levitt worked together in Brick, Johnson says he feels like he learned a lot on that film and knew more of what he was doing on Looper. Gordon-Levitt said that he was being humble and that Johnson knew exactly what he was doing on Brick. He compares their working relationship to the early years of high school vs your senior year, where things are similar but you know each other better. 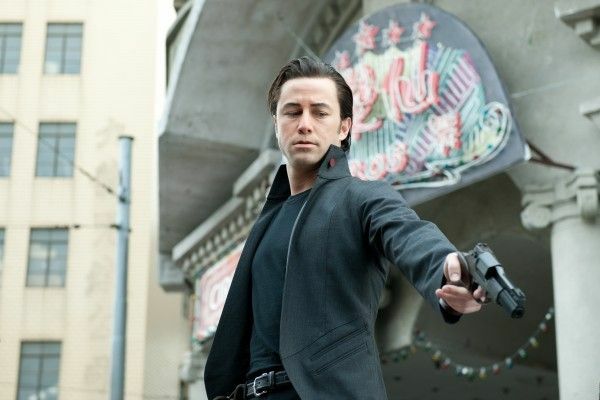 Johnson reveals that Looper will deal with all sorts of moral quandaries involved with time travel, especially the basic questions around finding yourself standing across the way from your future self. For fans of Breaking Bad, Johnson will be directing another episode. Gordon-Levitt expressed interest in doing a musical if a good enough project came along. Johnson expressed a desire to be lucky enough to work with Gordon-Levitt for the rest of his career. As a big fan of sci-fi, Gordon-Levitt is most excited for fans to see Looper, even though he has The Dark Knight Rises, Premium Rush, Lincoln and Django Unchained opening this year! Johnson brought in Shane Carruth, the writer/director/star of time-travel flick, Primer, as a consultant on time-traveling. Gordon-Levitt’s make-up was so convincing that his own mother and best friend were freaked out because he acted like himself but appeared completely different. While we have the entire summer to get through before we can see Looper, which opens September 28th. Luckily for the film, the heavy hitters will have come and gone by then (even Resident Evil: Retribution opens a full two weeks beforehand). 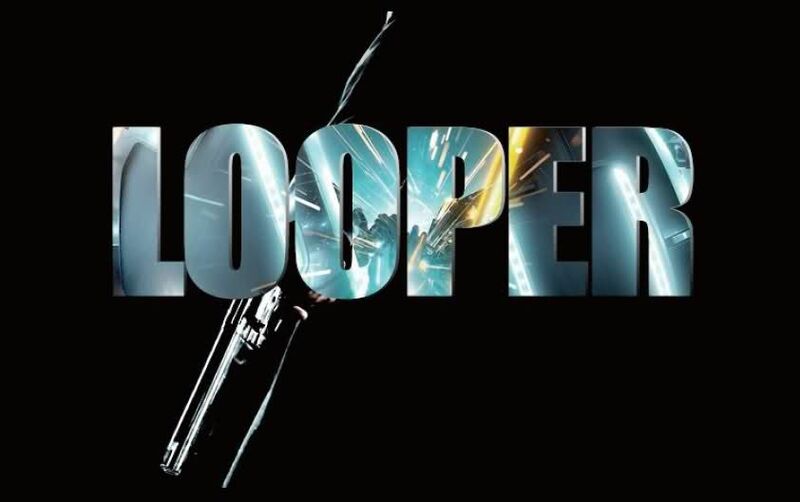 With the excellent caliber of filmmakers both in front of and behind the cameras coupled with the always-entertaining mash-up of mob movie and time traveling, Looper is already on my list for most anticipated films of the year.